I do not own rights to this image . I am providing it as a guide for measurement purposes. Our Guildan Ultra T-shirts are available in Small, Medium, Large, and Extra Large. 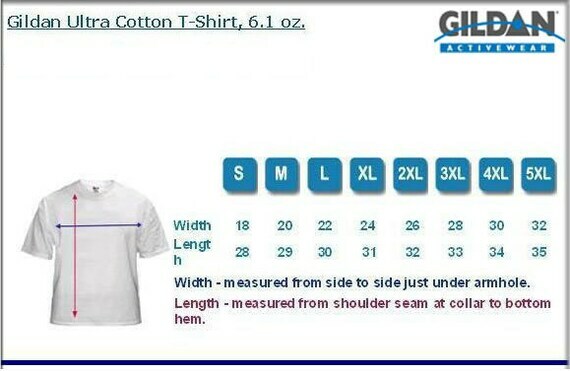 Please utilize the chart below when making a purchase to ensure that your t-shirt fits you. Thanks for shopping with us.